I recently had the chance to try Ogawa Coffee in downtown crossing, the first US location of the well known Japanese coffee roaster. 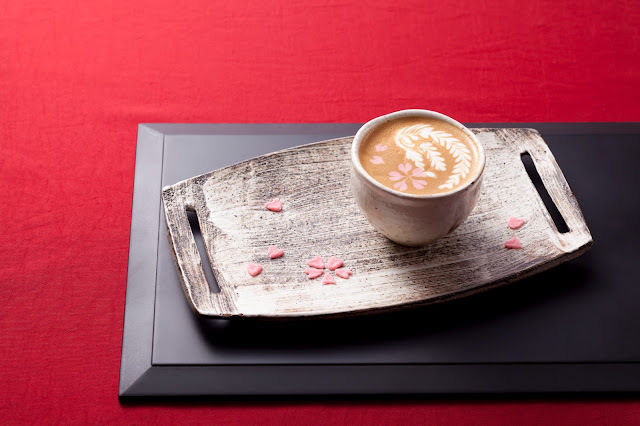 Ogawa has a goal to produce the perfect cup of coffee, and everything on the menu is created with extreme precision, care, and attention to detail. Unlike the US, Japanese coffee culture is not typically grab and go with the intent of getting a quick caffeine fix. It's meant to be savored as a part of a relaxing experience, and Ogawa's atmosphere definitely reflects this (although you can get a coffee to go). Boston was selected as Ogawa’s first international shop due to its appreciation for coffee and unique similarities in culture and size to sister-city Kyoto, Japan, where Ogawa Coffee is headquartered. 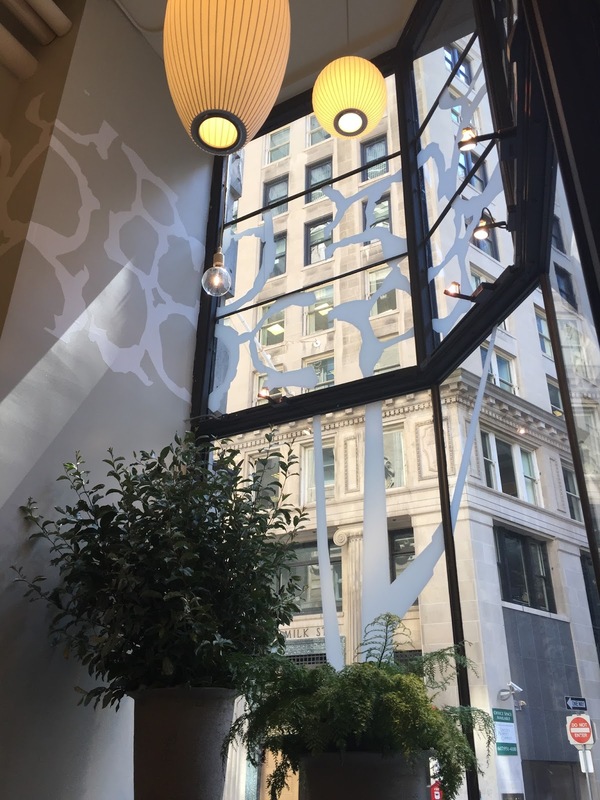 The shop offers a welcoming coffee experience grounded in Ogawa hospitality and precision unlike any other coffee shop I've seen in Boston. The shop also serves as a teaching lab with retractable stadium seating in front of the bar to provide a bird’s eye view of the skilled baristas at work. I was lucky enough to see the 2010 World Latte Art Champion barista Haruna Murayama when I came in. I was impressed by the precision that goes into each drink, and the beautiful end result. With the distinction of being the first Japanese and first woman to ever win the World Latte Art Championship, Haruna has been working as a barista since 2006 and joined Ogawa in 2012, introducing a level of artistry, beauty and technical skill that has since become synonymous with Ogawa Coffee lattes. 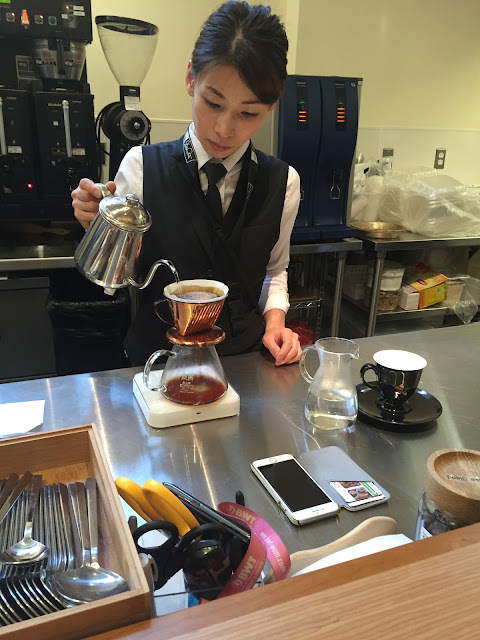 She is dedicated to sharing her passion, precision and hospitality with new Ogawa baristas, as well as with customers of the Ogawa Coffee Boston shop. This is Haruna's award winning design. It's currently available as part of the Signature Drink pairing - a periodically changing signature drink, which right now is comprised of foamed bittersweet espresso served in a martini glass paired with latte featuring Haruna's art. I ordered the signature drink with a soy latte, which was some of the best coffee I've ever had. Although beautiful, you can see my cup didn't feature the award winning latte art because (as Haruna explained to me personally) it's just not possible without whole milk. The Single Origin Trio - is a great choice if you want to sample a few different types of coffee. Each pour is served in a small glass with tasting notes, similar to a wine tasting. I tried the one from El Salvador, and could definitely taste the hint of peaches described in the tasting notes. This was such a fun way to experience coffee, that I'd never realized was possible. The Blancmange is another really cool pairing, a sparkling espresso with a rice based pudding made with coffee beans. In addition to coffee, Ogawa offers breakfast, lunch and sweets including menu items traditionally found in Japan such as Teriyaki Chicken Tartine and Housemade Gelatin Coffee Sundae and American favorites such as ham and cheese croissants and oatmeal. I hope to try them again soon! Did I read that right, peach?!? Wow!